The Working Group led a workshop about growing food in a changing climate at the Free the Seeds Fair on March 4 at Flathead Valley Community College. The lively conversation was featured the next day in the Kalispell Daily Interlake by reporter Alyssa Gray. Seed Enthusiasts Discuss Solutions to Changing Climate. 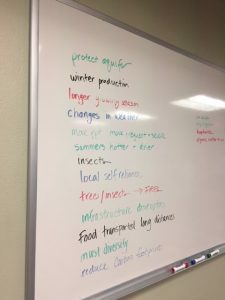 How is climate change relevant to the future of food in the Flathead Valley? "One woman in attendance offered that locally sourced foods might be a hedge against risk, adding that much of the valley’s produce comes from places like California and Arizona, and that unpredictable weather down the road could lead to shortages.... 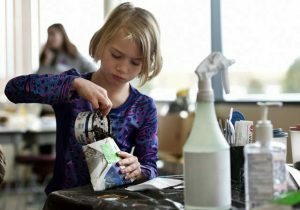 Audience suggestions included buying local, providing education and awareness in schools, eating less meat to reduce carbon emissions, and creating an infrastructure for a local food movement."